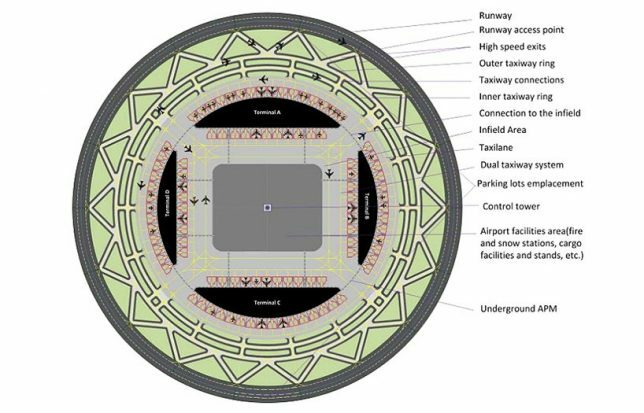 Designed to reduce real estate needs for runways in ever-more-crowded cities, this “endless runway” system encircles a central terminal building and lets multiple planes take off and land at the same time. 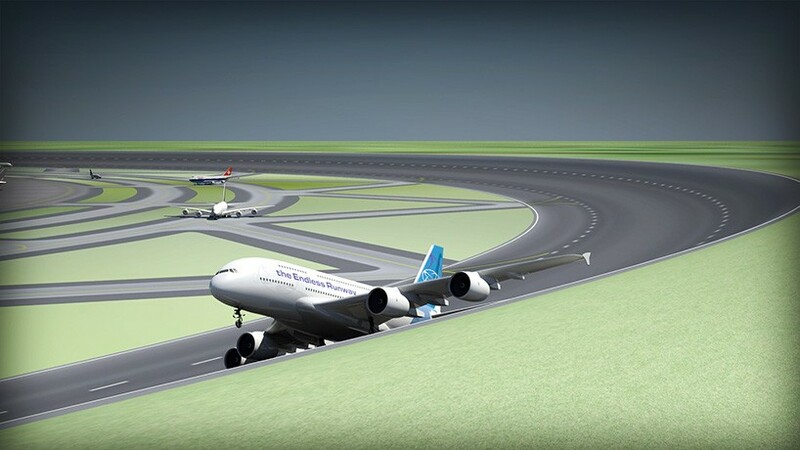 Developed by Dutch scientist Henk Hesselink, the two-mile-circumference shape also lets planes land or take off in alignment with the wind (rather than fighting crosswinds) since they can line up with any point on the strip. 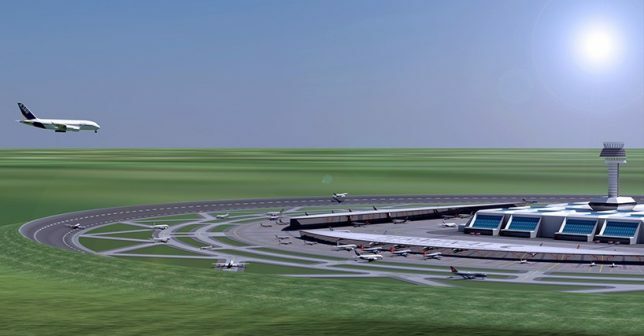 In theory, the system would improve the flying experience for both passengers and pilots, making for smoother departures and arrivals. They would also save energy and space, increasingly an issue for once-suburban (or rural) airports now encroached upon by growing cities. Critics have expressed skepticism regarding the difficulty of landings and take-offs in such a setup, but big backers seem to believe in the potential. Also, even if not immediately feasible, increased automation could make it increasingly viable over time, since computer systems can coordinate ideal landing and arrival trajectories for optimal safety and comfort and across multiple planes. 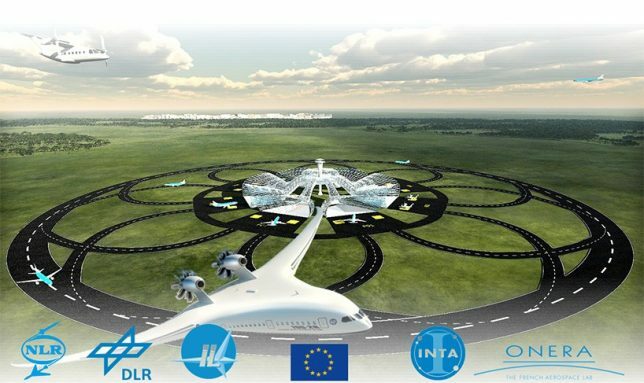 Each such setup provides the length of three airstrips and could be deployed or at least tested at scale in Europe soon — participating backers include the Netherlands Aerospace Centre (NLR), along with DLR Germany and ONERA in France.